An angel. 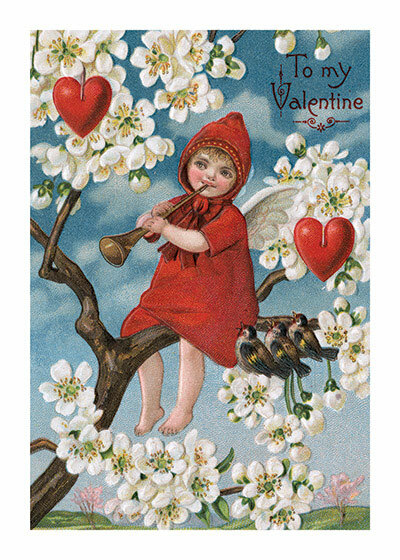 or maybe it's Cupid, sitting in a tree and blowing a horn for the benefit of three birds. Why this was a Valentine card is unclear, but it has hearts and and the words, To My Valentine.